When one of the top tourist attractions in a city is an amusement park, you know that you have made a good choice in your destination. Before my Baltic cruise this summer, I spent a couple of days in Copenhagen with my family since the cruise ship departed from the Copenhagen port. We were fortunate enough to spend our limited time in Copenhagen at Tivoli Gardens, which along with a canal ride, was one of the major highlights of our Copenhagen experience. How old is Tivoli Gardens? What is the deal with Walt Disney and Tivoli? 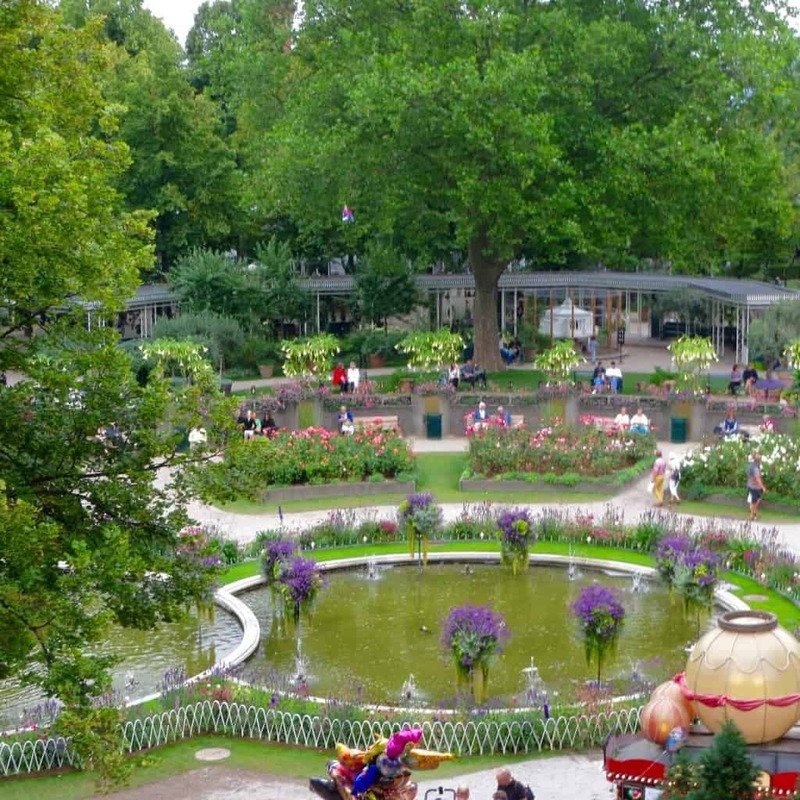 Tivoli Gardens was opened in 1843 and is the second oldest operating amusement park. It boasts beautiful gardens, exhilarating rides, and phenomenal entertainment venues which served as Walt Disney’s inspiration for Disneyland after his visit to Tivoli Gardens in 1951. Being a native of Los Angeles and having Disneyland, Universal Studios, and Six Flags Magic Mountain all about an hour from me, I had low expectations for the park. How could it even compare? I am so glad that I had those low expectations because it made the experience so unexpected and infinitely better. 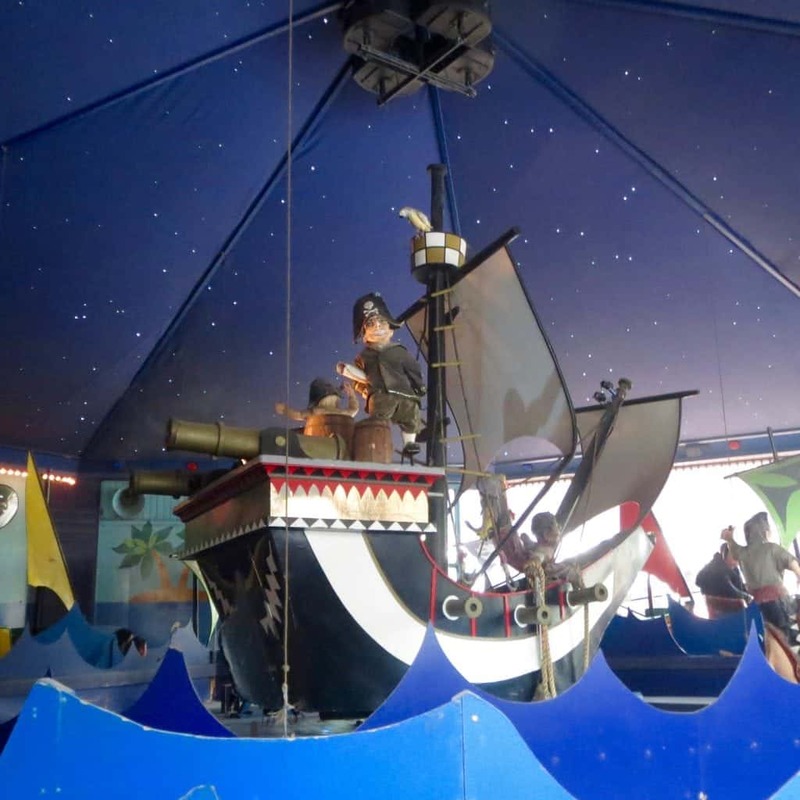 When you go to an amusement park for the first time, you have no idea what will happen on each ride, what kind of entertainers will be roaming the grounds, and what performances will occur. And, let me tell you that Tivoli delivers! It’s just so charming. 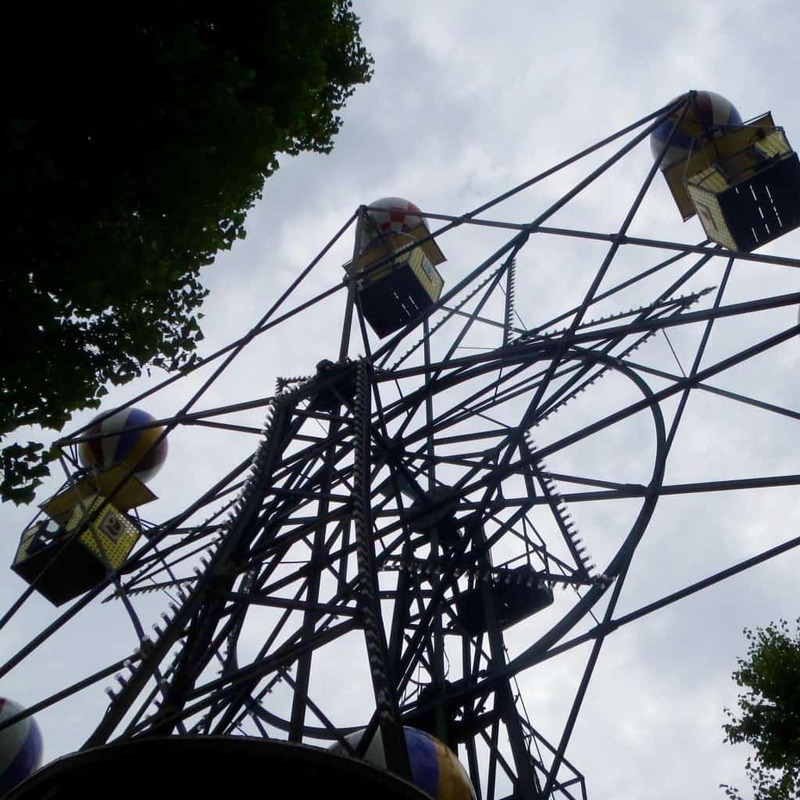 Tivoli Gardens somehow manages to incorporate all of the fun of an amusement park, but also maintains a sense of serenity and beauty in the garden areas. 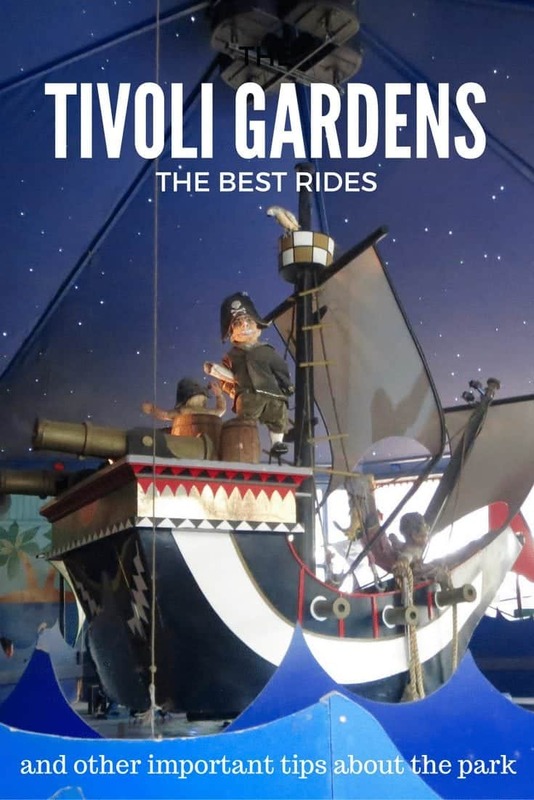 Tivoli Gardens is small enough for you to be able to go on all of the rides in one day and still leave exhausted, exhilarated, and ultimately satisfied with all of the activities you just experienced. How much is entrance to Tivoli Gardens? What kind of ticket should you buy? Copenhagen is pricey, that is a given. So, when you arrive at Tivoli Copenhagen and you have the option of purchasing an entrance fee without access to rides or the entrance fee with access to every ride, you might be tempted to choose the former. However, I strongly believe that it is absolutely necessary to pay the extra money for the unlimited rides ticket. If you are going to commit to spending the day at an amusement park, then you should fully commit and buy that ticket. 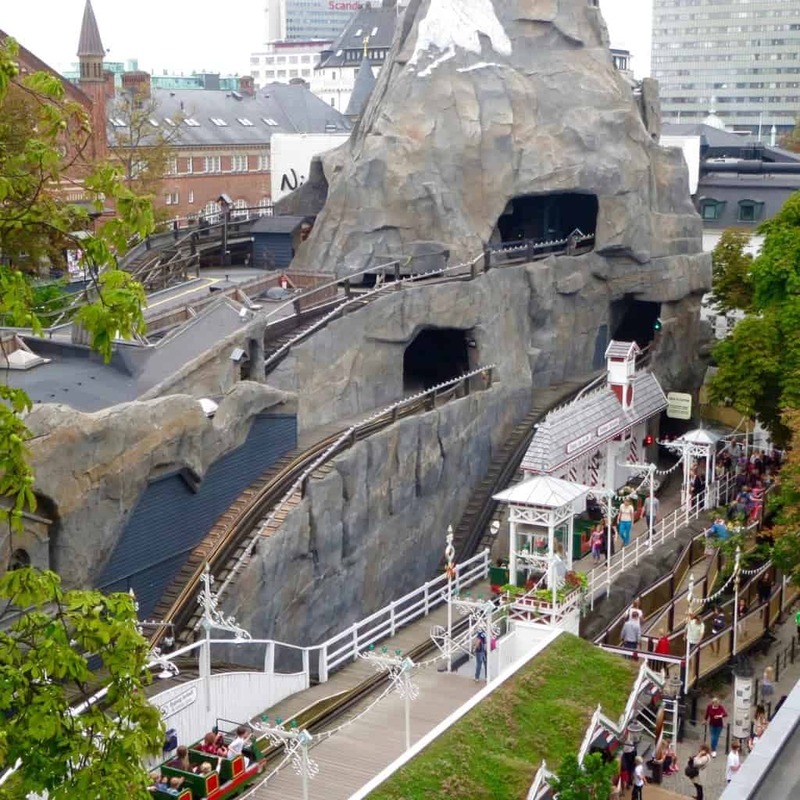 The unlimited ride ticket is 230 DKK which is around $35.00 although that of course varies depending on the strength of the currency you use. Click here if you are interested in a skip the line entry ticket to the park. 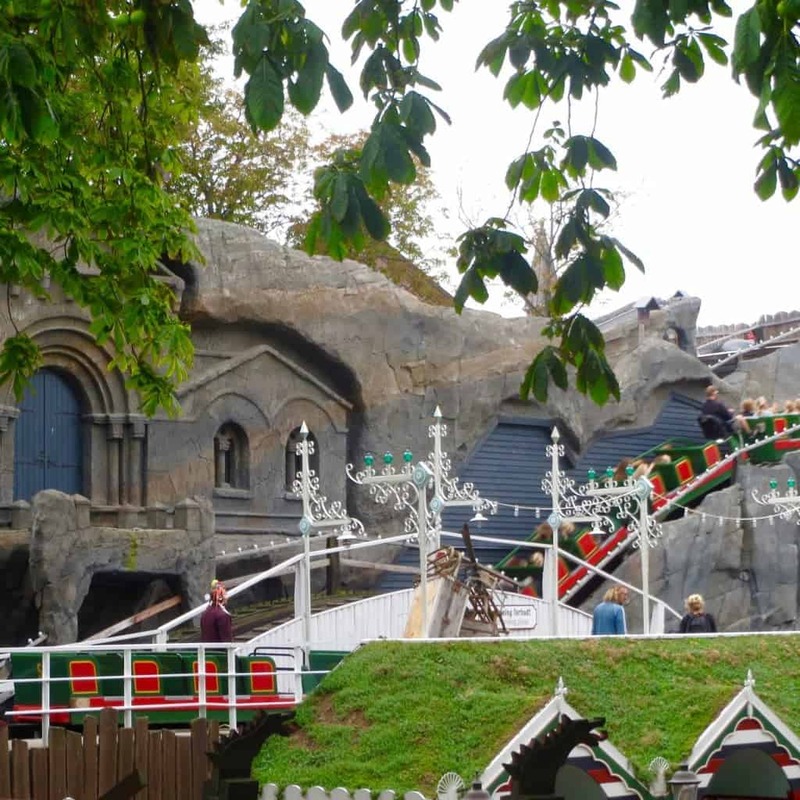 Please note that Tivoli Gardens is a seasonal amusement park which means that it is open between April and September and then for a couple weeks prior to Halloween and during the holiday season. How many hours should you spend there and what time of day should you go the park? I would recommend allotting between four and seven hours at the park. Four hours would be sufficient if you plan on eating lunch and dinner elsewhere, or seven hours if you plan on watching a show or having at least one extended meal. 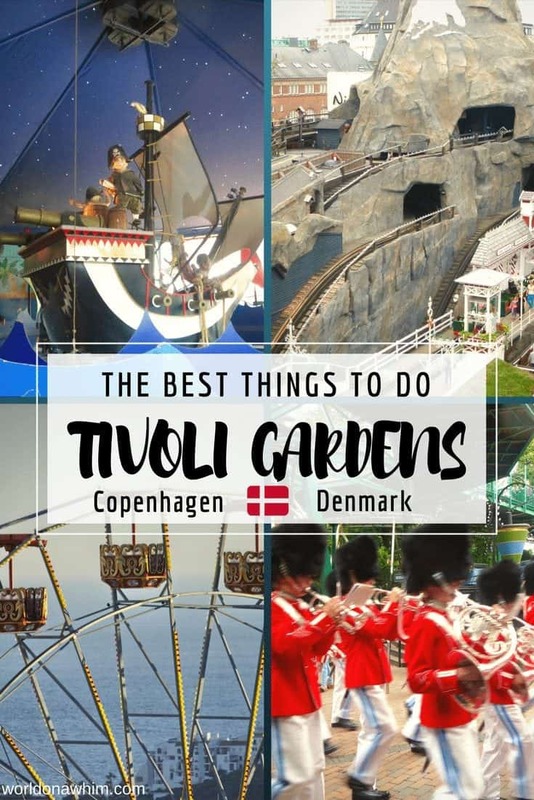 On weekends, there are concerts on Friday nights and fireworks on Saturday nights, so you should plan your time at Tivoli around those activities. I arrived at around 2 o’clock and left around 6:30 PM since I had a dinner reservation elsewhere. That was the perfect amount of time to do 90 percent of the rides, have an ice cream, and admire the gardens. I would definitely recommend staying until nightfall so that you can see all of the beautiful lights and illumination shows. On that note, make sure that you get a list of events happening that day or download the Tivoli app prior so that you know when parades, pantomimes, and other productions will occur. There is an information center near the main entrance where you can inquire about any additional questions you may have or pick up a map of Tivoli Gardens. Radisson Collection Royal Hotel is a fantastic property located right across the street from both the train station and Tivoli Gardens. During my stay, I was struck by both the superb staff and the outstanding breakfast buffet. Views from the room are wonderful; you can see fireworks at night from Tivoli. What are the best rides at Tivoli Gardens? 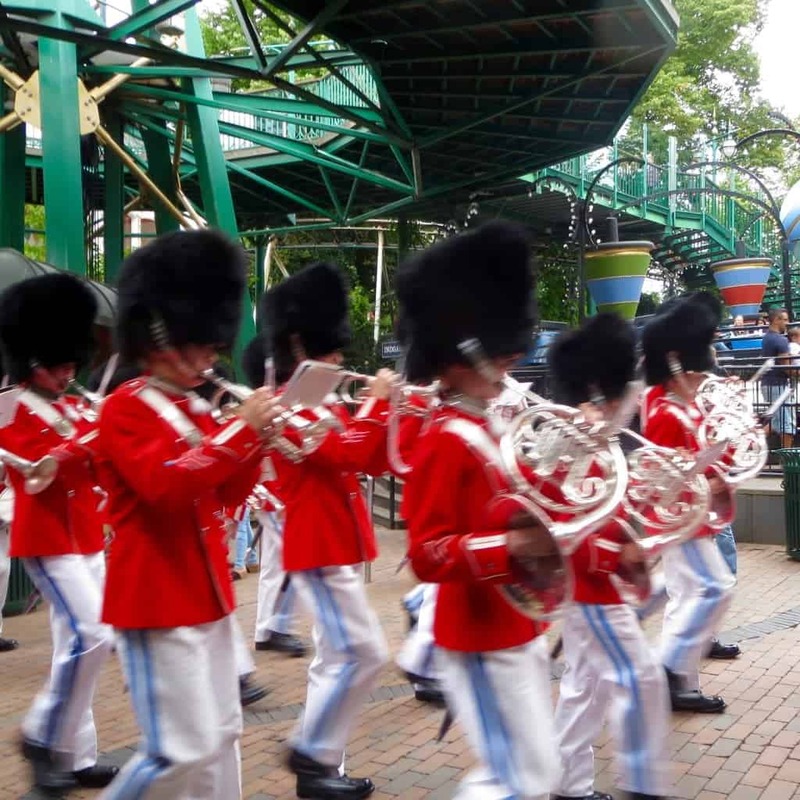 What are the best things to do in Tivoli Gardens? Scary rides I did not attempt: I will start off by mentioning the one ride that I did NOT go on…Vertigo. No, I would prefer not to vomit all over myself for the next 3 hours. Did anyone play Roller Coaster Tycoon as a kid? I was obsessed and recently started playing the original game again. This is a total tangent, I know, but think about all of those handymen you had to buy to clean up the pathways. I would be exactly like Guest 372 green-faced and angry. I did go on The Star Flyer ride and was pretty sick after it. Something about the angle and the fast spinning in a circle didn’t sit right, but, nothing that an ice cream cone and a bench couldn’t fix. I also did not go on the Golden Tower because even though I love drops, it was raining and that ride was just a little too much for me to handle in my already nauseauted state. I did make sure to try the rest of the Tivoli attractions at the park. Great rides: Personally, I love themed rides. If you feel the same way, you should definitely check out The Mine Ride and The Flying Trunk which depicts scenes from Hans Christian Anderson’s tales and is similar to It’s A Small World without the annoying music. I had no idea what to expect around each corner which made if so much fun. I also loved both roller coasters, one is actually called The Roller Coaster and the other entitled The Odin Express. I am also a huge fan of The Monsoon Ride as there are manageable drops and no turning upside down or loops! Classic rides: Of course, there are plenty of traditional rides such as the Carousel, Ferris Wheel, Bumper Cars, a boat ride, and Fun House. There are also a good amount of rides for small children such as The Panda, Nautilus, and the Little Dragon. My favorite ride: THE DEMON! Ok, so this definitely would be classified under the “scary” ride section. I was not expecting to love this ride because there were loops and I mean it’s called the Demon. The name alone was quite intimidating. However, I was so surprised because I loved every minute of it and highly recommend that everyone try The Demon. If you are a bit fearful, this is the ride to be brave for and if you are an adrenaline junkie, make sure you go on this one multiple times! *Please note: Some of the rides require you to leave your belongings at the entrance to the ride. At first, I was a bit put off by this; however, I grew more accustomed to this idea as the day progressed. However, if you don’t feel comfortable leaving your belongings, you might want to take turns going on the ride while someone holds your valuables. Are the restaurants good quality and worth eating at? Typically, amusement parks have mediocre food at best; there might be a few specialty treats like Dole Whip, but overall you don’t go to the park for the food. That isn’t the case though at Tivoli! There are a multitude of restaurants, 43 to be exact, many of which have outstanding reviews. 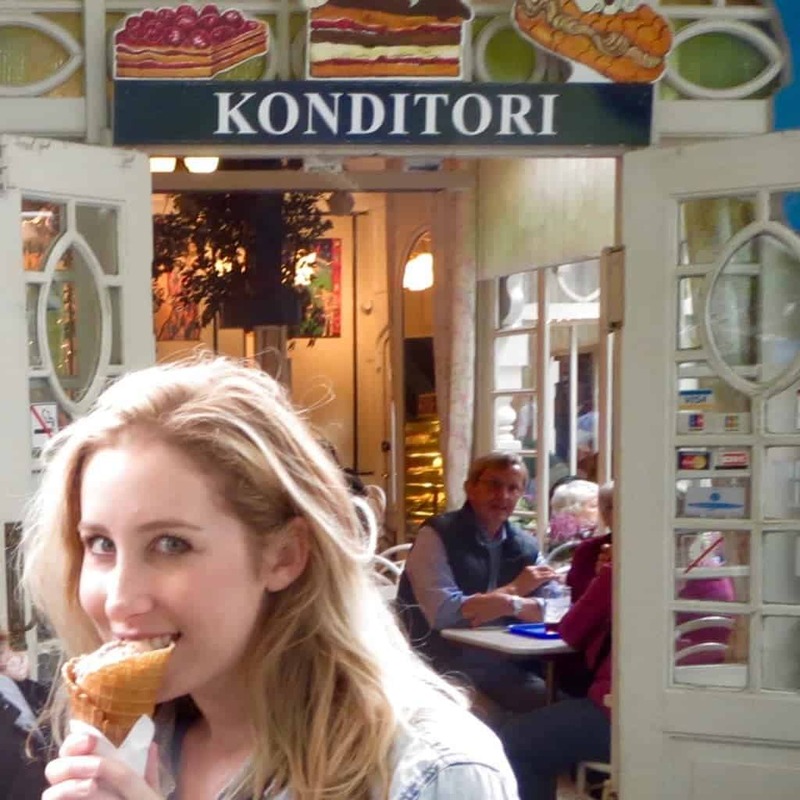 Visit Copenhagen has a great list of the top 10 eateries in Tivoli Gardens here. Just look into making reservations in advance as the wait times can get long during the middle of summer and especially on weekends. Visiting Tivoli Gardens during Christmas has always been something that I highly recommend. Why? Unlike other cities in Europe where the Christmas markets traditionally close on December 24th, the markets at Tivoli stay open until the end of December. Daytime is not as crowded as it is at night at Tivoli Gardens, so I recommend going on the rides earlier in the day and then walking around to admire the Christmas lights and holiday decor surrounding the gardens once the sun sets. The picturesque setting at Tivoli theme park is the ideal locale to fully embrace the holiday spirit. 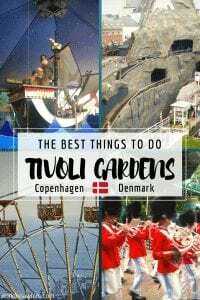 I hope you all enjoy exploring Tivoli Gardens on your next trip to Copenhagen! If you have any further questions about what to do at Tivoli Gardens, please ask in the comments below! And, if you have already visited Tivoli Gardens, share your favorite ride. Who else is obsessed with the Demon? Planning to go elsewhere in Europe? 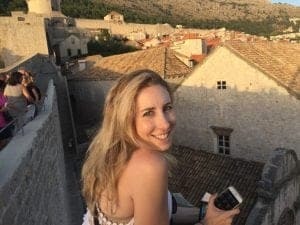 Check out my guide to the best festivals in Europe and the best modes of transport for many different cities in Europe! Are you on Pinterest? Pin these Tivoli Gardens Tips for later! Shop My Favorite Trip Essentials! This post contains affiliate links. That means I receive a small commission if you make a purchase after clicking the link. Please follow me on Facebook for more updates!